Is your non-profit organization planning on holding a fundraiser to raise cash for a worthy need, cause, or project? How about holding lottery-style raffle to make money? The states do, and of course they rake in bundles. You can too, albeit with smaller bundles. The advantages to holding a lottery-style raffle are numerous, and all you really need to kick it off are custom printed raffle tickets, and a crew of volunteers to sell the tickets. 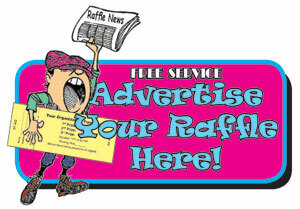 With this type of raffle fundraiser, you won’t even have to plan and hold a special drawing event. That also means you won’t have to have a raffle drum to pick winners. You also don’t have to worry about collecting the stubs. Raffle ticket holders will simply check their numbered ticket against pick-3, or pick-4 winners of a pre-determined state’s lottery drawing. The donation per ticket is up to you, as are the prize amounts. Each ticket will, of course have to have a unique number. You will need to order tickets in lots of 1,000 in order to satisfy all potential number combinations. There you have it, a no-muss, no-fuss way to rake in “bundles” of cash for your next fundraiser.